Up until 2016, buyers were content with neckband style Bluetooth earbuds. But, everything changed when Apple lifted the curtains off the AirPods, a pair of truly wireless earbuds which made run-of-the-mill Bluetooth earphones appear like a millstone around one’s neck. Over the years, the popularity for truly wireless earphones has grown exponentially, which is why every manufacturer is looking to get in on a piece of the action. 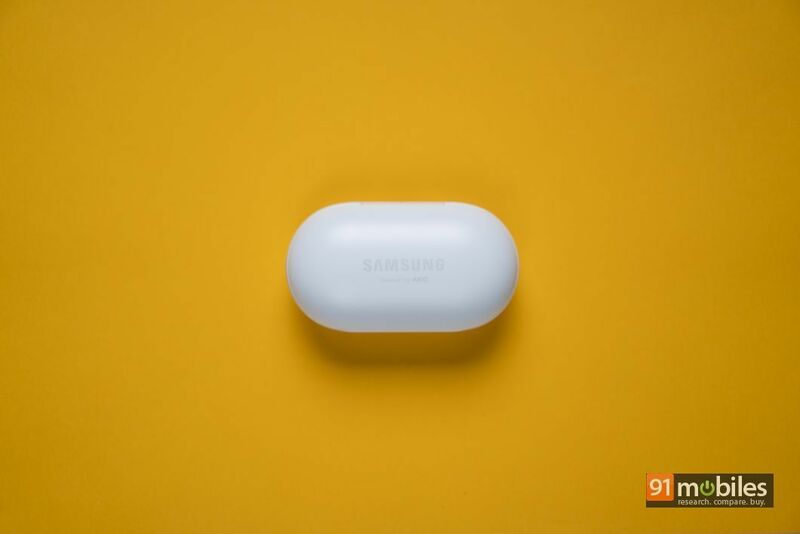 One such brand is Samsung, which recently unveiled the all-new Galaxy Buds alongside its latest range of flagship smartphones. 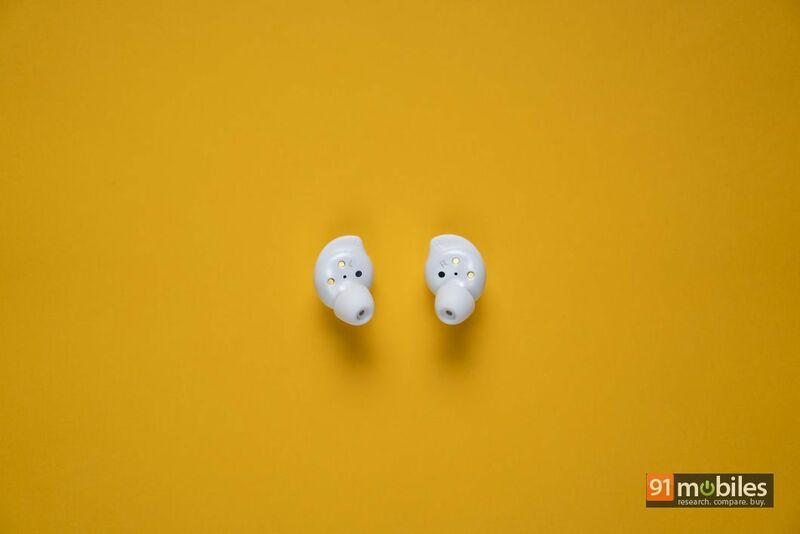 If you pre-booked one of the three high-end phones from the company’s stables, then chances are you managed to snag the Galaxy Buds at a massive discount. But, now that the promotion has ended, are the Galaxy Buds worth their Rs 10K sticker price? Well, that’s what I’m here to find out. Stay with me. The Samsung Galaxy Buds have been styled using the same design principles which shaped its predecessors. In fact, barring some subtle aesthetic changes, you’ll be hard-pressed to tell the newer offerings apart from the Gear IconX I reviewed last year. The Galaxy Buds ship in a compact capsule-shaped case which houses the two earpieces. What’s more, the shape of the earbuds remains the same too, and the individual earpieces resemble a plectrum which is used to play the guitar. Moving on, Samsung is offering the Galaxy Buds in two hues of black and white. While the white colour variant looks more elegant, it does get quite smudgy and therefore, you’ll have to wipe the buds down every now and then. However, everything else about the design of the unit exudes quality. The buds ship with IPX2 certification, making them impervious to damage from sweat and drops of water. Therefore, you shouldn’t worry about sweating it out in the gym with the Galaxy Buds in your ears. What’s more, the case is quite compact, comes with magnetic locks and snaps shut tightly too. Ergo, the earpieces will stay locked inside the case so long as you don’t jerk it open. As for the fit and the comfort, Samsung’s Galaxy Buds nestle comfortably in the ears and provide a solid in-ear grip. I subjected the buds to the ‘shake test’ and I’m happy to report that the pair persevered and didn’t come off my ears. 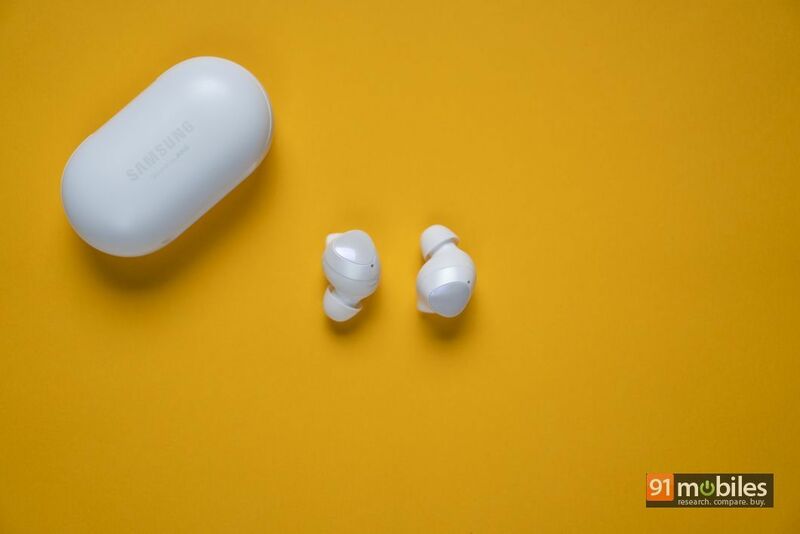 The company even bundles different sizes of ear tips and fins with the Galaxy Buds which will undoubtedly help you narrow down the best fit for your ears. As for buttons, the Galaxy Buds ship with touch controls on both the earpieces which, unfortunately, aren’t as intuitive as I’d hoped them to be. For starters, I’ve been using the earbuds for the better part of a week and I’m still trying to figure out the exact point of contact which would toggle a function. Moreover, while the play/pause function worked fine as it required a single tap on either of the two earbuds, more complicated functions like going back or forward a track (requiring a swift triple-tap) seldom worked correctly. That being said, I’ll always choose finicky touch controls over having to use my smartphone to change a song. What’s more, you can even customise the long-press function on either of the two earbuds from within the Galaxy Wear app to perform a different function. As it stands, buyers can assign one of three different functions (either toggle the Google Assistant, turn on the Ambient sound mode or increase/decrease the volume) to each earpiece, but I’m hoping Samsung will introduce more configurations in the future. And did I mention that the buds automatically pause a music track if you remove both the earbuds from your ears? Neat, right? Interestingly enough, the case for the Galaxy Buds comes with support for wireless charging. Therefore, if you have a Samsung Galaxy S10+ (review) or a Huawei Mate 20 Pro (review) lying around, then you can use the smartphones’ ‘reverse wireless charging’ feature to top up the earbuds. For everyone else, Samsung has bundled a USB Type-C port to charge the earphones, or you can throw the case on a Qi-wireless pad to top them up wirelessly. The Samsung Galaxy Buds connect to compatible devices over Bluetooth v5.0. Unfortunately, since the pair is backed by Broadcom Wireless’ BCM43014 chipset, the unit lacks support for Qualcomm’s aptX HD and aptX LL codecs, both of which are considered the golden standard for relaying audio over Bluetooth. Therefore, buyers opting for the pair will be limited to SBC, AAC and Samsung’s own Scalable audio codec. Now that we have the specs out of the way, let’s talk about the earbuds audio prowess. Right off the bat, I can tell you that the Galaxy Buds lack the ‘wow’ factor in the low-end. While the bass output on the pair is more pronounced than the IconX, the beats still lack the rumble and the roar which you’ll get with say, a pair of Anker Soundcore Liberty Air (review) or the Jabra Elite 65t Active (review). Even if you turn on the ‘bass boost’ equaliser from with the Galaxy Wearable app, the Galaxy Buds will do little to get the blood pumping. However, the pair more than make up for their sub-par bass performance by offering lush and clear mids. The vocals sound surreal on the Galaxy Buds, and the earbuds do justice to deep-voiced singers like Leonard Cohen, whilst faithfully reproducing the high-pitched notes in tracks like Rainberry too. What’s more, after listening to a wide variety of tracks and podcasts on the earbuds, I can confidently say that the Galaxy Buds don’t sound sibilant. Therefore, words ending in an ‘S’ won’t shriek in your ears and make you want to punch a wall. Surprisingly, for a pair of truly wireless earbuds, the Galaxy Buds make for a great pair of earphones to listen to rock ballads. Riffs and power chords from the electric guitar sounded crisp, lively and most importantly, easy on the ears. Moreover, thanks in no small part to the pair’s excellent imaging, chaotic rock tracks didn’t sound muddy even at high volume levels. As for the soundstage, it’s as good as it gets with a pair of in-ear type headphones. While the sound didn’t feel like it was being projected in my ears in a single file, the Galaxy Buds didn’t give me a concert-esque experience either. 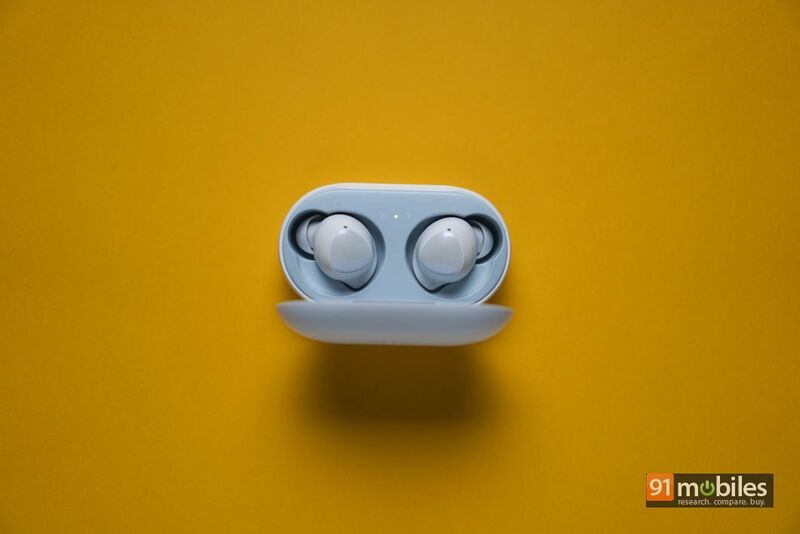 Coming to the battery life, the Galaxy Buds are backed by a 58mAh cell which lasts well over six hours. The bundled case adds an additional seven to eight hours of battery backup and therefore, you should be able to use the earphones for at least two days off a single charge. What’s more, the earbuds retain a rock-solid Bluetooth connection which rarely ever falters. 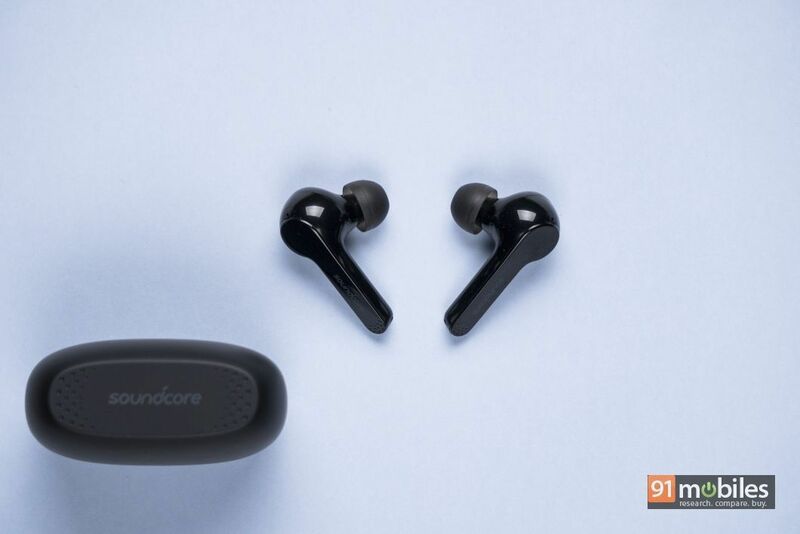 While some reviewers have pointed out that the Galaxy Buds aren’t the most reliable Bluetooth earphones in the market, I didn’t face any issues with the pair in the connectivity department. The unit pairs quickly to compatible devices and there’s no audio-video delay when streaming content from services like YouTube or Netflix either. Much like most other accessories from the company’s stables, the Galaxy Buds use a companion app called the Galaxy Wear app. The app comes with a ton of nifty features and lets users fine-tune the experience of using the buds. 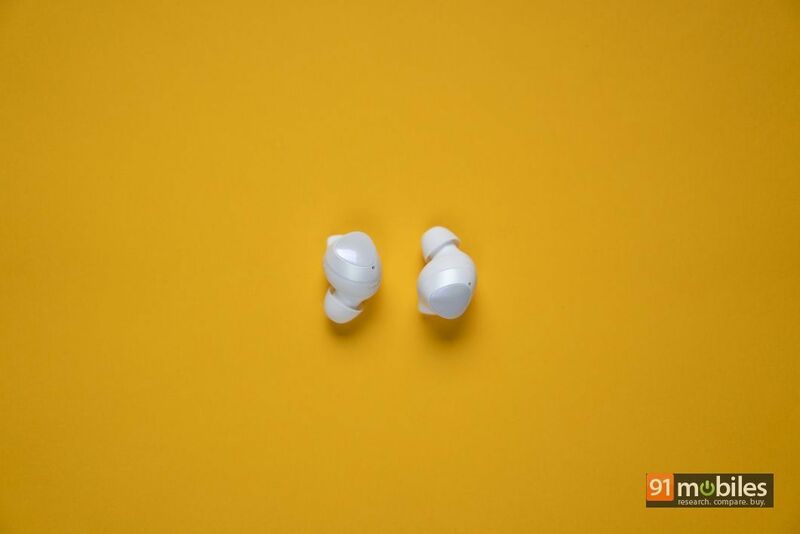 For instance, you can use the app to locate the earbuds, thereby saving you the trouble of looking for the earpieces under a couch or a pillow. The app also comes with a built-in equaliser which you can use to slightly tweak the Galaxy Buds’ sound signature. Lastly, you can also play with the ‘ambient sound mode’ from within the app which in a nutshell, lets in some of the environmental noise to make you aware of your surroundings. This feature comes particularly in handy when you’re out for a run or when you want to listen to announcements at an airport or a railway station. Other than that, the app also acts as a gateway to update the firmware of your Galaxy Buds. You can also opt-in to receive notifications through the earbuds for the apps of your liking. Unfortunately, the Galaxy Wear app is only available on Android and therefore, iPhone users will miss out on a chunk of features should they choose to opt for the Galaxy Buds. So, should you buy the Galaxy Buds? Well, for the pair’s asking price of Rs 9,999, the earphones should certainly be on the top of your wishlist. 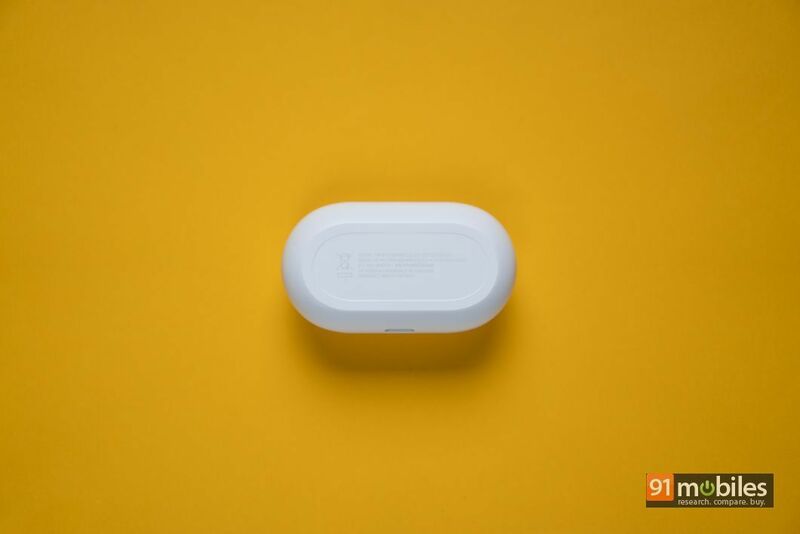 Not only does the pair cost less than most other truly wireless earphones in the market, but it also offers a stable Bluetooth connection and a long-lasting battery life. While I would’ve liked to hear a bit more oomph in the low-end, the Galaxy Buds sound fine for the most part. And, lest I forget, the companion app adds a host of interesting and useful features, which make the Galaxy Buds an enticing proposition, to say the least. The only real threat comes from Anker’s Soundcore Liberty Air (pictured above), which cost less, sound better and are more rugged too, owing to their IPX5 rating. 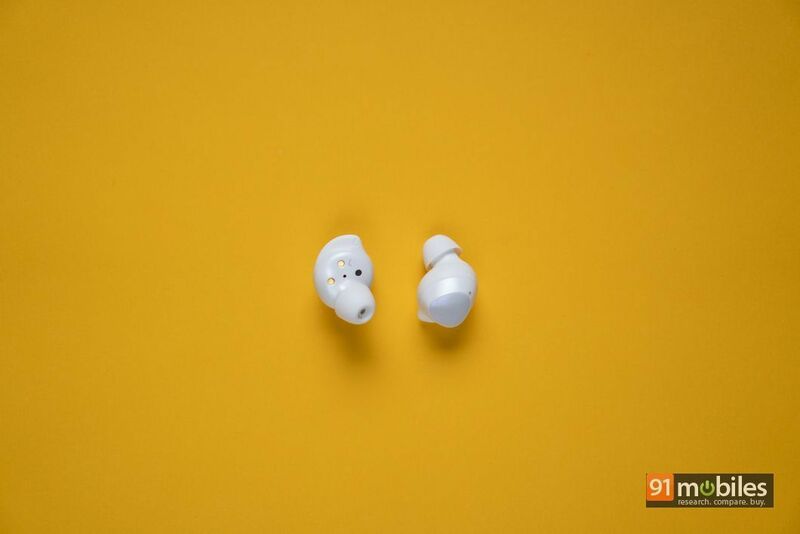 However, the Galaxy Buds are more comfortable to wear over long hours, look more stylish and come from a more recognisable brand. Choosing between the two is not easy, but for what it’s worth, I would side with the Anker Soundcore Liberty Air, solely because I’m smitten with the pair’s sound signature. With that said, you will not be disappointed if you invest in the Samsung Galaxy Buds. The Korean giant just made the truly wireless market that much more exciting and competitive, and I can’t wait to see what other brands come up with next.